Engineering Impact is a weekly newsletter that highlights trends in engineering leadership, productivity, culture, and scaling development teams. This week features posts on: Product, Leadership, Interviewing, Communication, and Retention. Marcus Blankenship, author of Habits that Harm Your Technical Team, asks, “Why do you value potential customers more than existing customers?” — and illustrates the challenge of listening to perspectives from different groups of stakeholders, without losing sight of the end user. 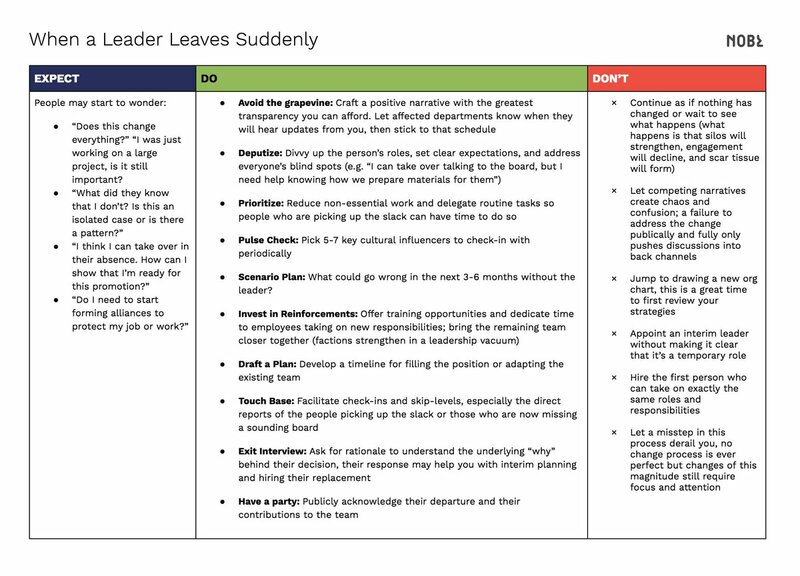 “What you do next is critical.” Here’s Jane Garza, Organizational Designer at NOBL, with a concise checklist on exactly what to do and expect when a leader suddenly leaves. While take-home projects have plenty of advantages, they can easily become bloated and unreasonable. Here’s Wayne Gerard, CTO at Headlight, with a comprehensive piece on how to approach the process instead. “Giving a presentation to senior leadership is a bit of a dark art: it takes a while to master, and most folks who do it well can’t quite articulate how they do it.” Will Larson, Foundation Engineering at Stripe, serves up a recipe for giving effective presentations. Jack Chou, Head of Product at Affirm, identifies four key components to workplace motivation, describes how leaders can spot flagging motivation in their day-to-day interactions, and offers tactics to start turning the ship around today.